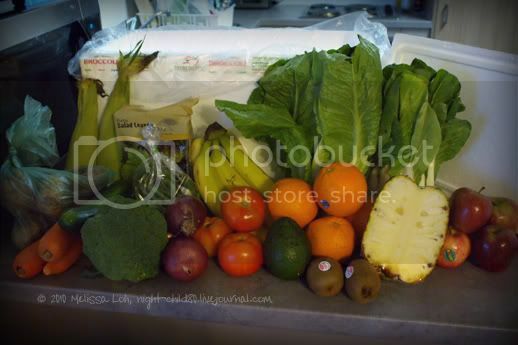 Here's our 2nd Farm Fresh Central small mixed box. Unfortunately I've noticed that the produce is usually too firm to use within the week, such as the tomatoes and avocados. I've tried using last week's, but found them too hard and impossible to put in salads. Which means more fridge space is taken up by vegetables we cannot use during the week.